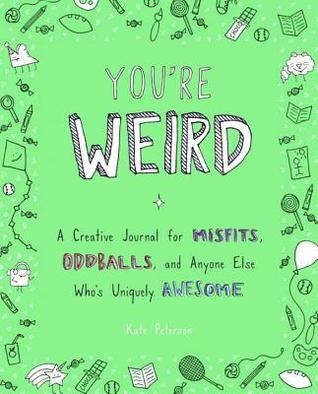 Summary: Part journal, part activity book, and all fun, You're Weird is a valentine for the inner weirdo in everyone--that part of us that doesn't quite fit in, and secretly isn't even trying. Filled with hand-drawn creatures that are a bit...different...along with lists, writing prompts, activities, and more, it's a delightful and affirming book for creative oddballs everywhere. In our mass-produced world that wants everyone to fit in and fall in line, this quirky book give us permission to celebrate what makes us each unique--and amazing. It's the perfect gift for the creative teen, journal-loving best friend, or indie artist in your life...or for your own weird self. If you don't think you're weird then chances are you are super, duper weird. This journal/doodle/prompt book is a lot of fun! It's not something that you sit down and try to complete. Rather you sit back and really think about what quirks you have and reflect a bit on yourself. I wouldn't suggest this journal for children or even middle school-age children. Some of the prompts wouldn't mean much to them at their age. For instance, "What kinds of weirdness are most important to you in a partner?" or "Craziest things I've ever done for love, work, friendship, etc." My younger kids better not have done anything for love... ya feel me. This is best suited for junior high and older, I just think they will get more out of it and beginning in Jr. High you start to see kids want to explore life a bit more (aka they become tween monsters). Overall, I really enjoyed You're Weird and I plan to fill mine up and give it to my kids as a journal of all my weirdness without apology. 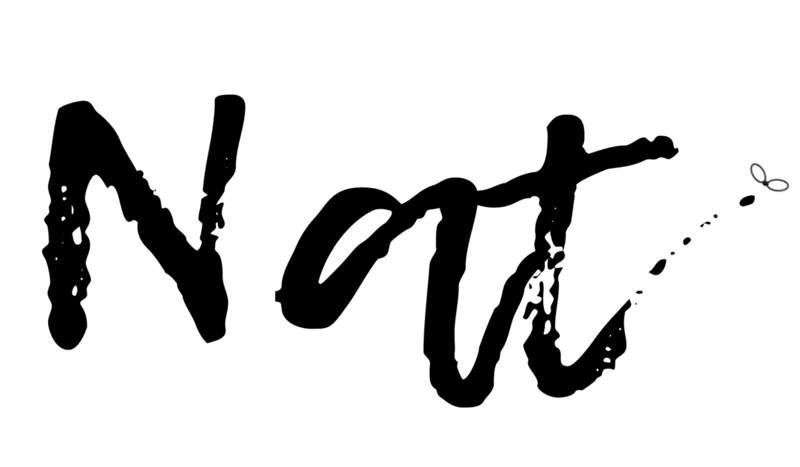 The prompts allow for stories and experiences to be recorded and I think it will justify a lot of my quirks or it may just further confuse them but hey, it will be fun! I would suggest this as a gift for a new graduate, doodlers, and adolescents who are having a hard time accepting their inner awesome. It could also be used as an anti-bullying prompt book in the classroom. 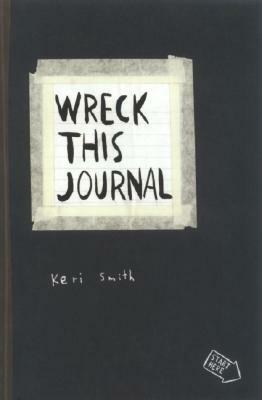 For a young audience (middle grade and below) I would pick-up a Wreck This Journal by Keri Smith. There are over a dozen different versions and all the prompts are ridiculous and kid approved. My least favorite was when my daughter brought it to the dinner table and ate spaghetti off the book... good times.